Typography has been around since times immemorial. But its full implications were understood only recently. 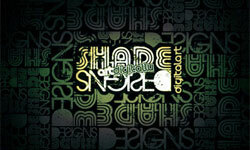 Typography is used extensively within the website designing. This is the reason that typographers are held in such high regards. Typography is a portmanteau Greek word. Derived from the words “typos” and “graphs,” it is basically the art and technique of arranging words or letters to make them visible. This involves a vast category of characteristics like the typefaces, the point size, line length, line spacing and pairs of letters. In modern contexts, typography has been utilized to help consumers relate easily. It does so by adding emotions to mass communication. With the digital technological advancements, typography became more than just a specialized occupation. Today, typography presents a whole new perspective to the newer generations of designers and the layout users. More than 95 percent of the information in the online world is texts. This is the reason that web designers should have a proper understanding of shaping the written language or more professionally termed: Typography. The inundated work pressure and competitive websites has depreciated the quality of the work. The harassed end-user does not comprehend the entire information printed. This is where a typographer comes into play where it is his or her task to make the print more interpretable. The typographer divides the material in such a way that the reader is presented with an optimum amount of information that would arouse their interest. Implementing imagination and the information based on the targeted audience, it is the job of the typographer to make the printed material readable and easily available. Putting in the plain simple words, typography or information design is conveying the necessary information via the form of writing. The printed information which is not readable becomes useless and without purpose. The overall graphic balance is maintained only when typography is optimized. The typographer should be limited with the number of fonts available for his usage. It is understandable that there is never enough. What one should comprehend is that typography can be made a surreal experience only with one single font. As we did see in the Renaissance era, most Italian typographers produced indelible products by using the singular design font. Thus, the usual whining about the limited fonts and the resolution being too slow should not be a deterrent factor; the typographer should make use of all the available resources. The second most important concern is the typography has never been about the usage of typefaces. It is an art that when handled professionally should be able to make a huge difference to the published material. The text should always be used as the user interface. Consumers come in search of information. Therefore it is important to have professional typographers render the information readable and accessible. Just like it is the web developer’s responsibility to ensure that the website is accessible in all possible browsers, it is the typographers occupation to make the website with the correct leading, white space, dosed colors etc which would make it more preferred than the others. The websites which are successful have simple interface and a strong identity amalgamated in the perfect ratio. B3net.com studies the ongoing trends of website design. 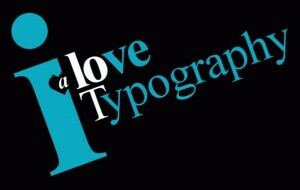 It came to the conclusion that typography also plays a role for having a successful website layout. It praised Orange County Web Design for understanding that typography is an essential part of websites.